Workshop 5: Life on Mars? It's almost time to leave Mars, but you just discovered a life form that attached itself to Milo after he returned from an expedition. 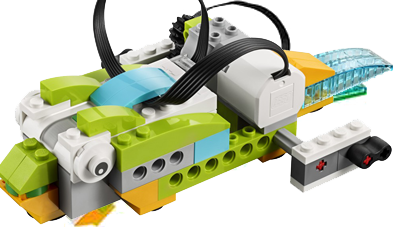 Mission control has asked you to build a model of the lifeform with your Lego WeDo kit and then record a video to help them understand it better. Some part must MOVE. If it moves around, it can't use wheels. It must use ONE sensor. The TILT sensor could act as touch or balance. The DISTANCE sensor could act as eyes. Use the resources below, the Internet, and your own creative imagination to build a model of a Mars life form. Use the WeDo app to create the program strings to make your life form move on its own and respond to the environment. The best way to build new things is to start with something we already know! This is a page of WeDo models that will inspire you and give you a great way to get started building your Mars life form.